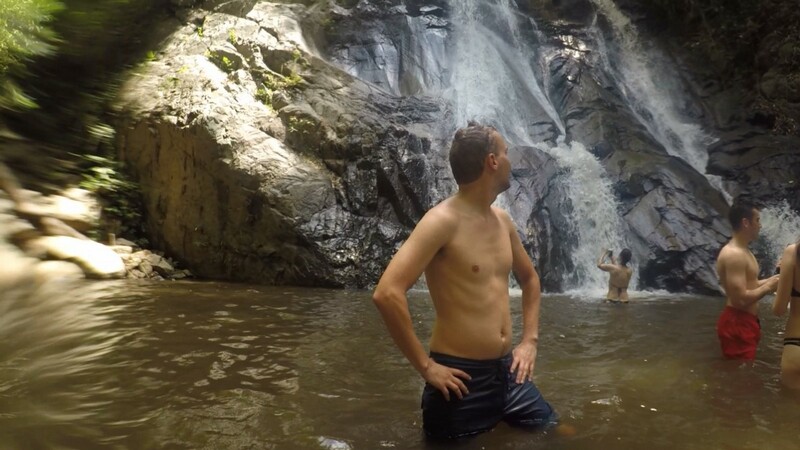 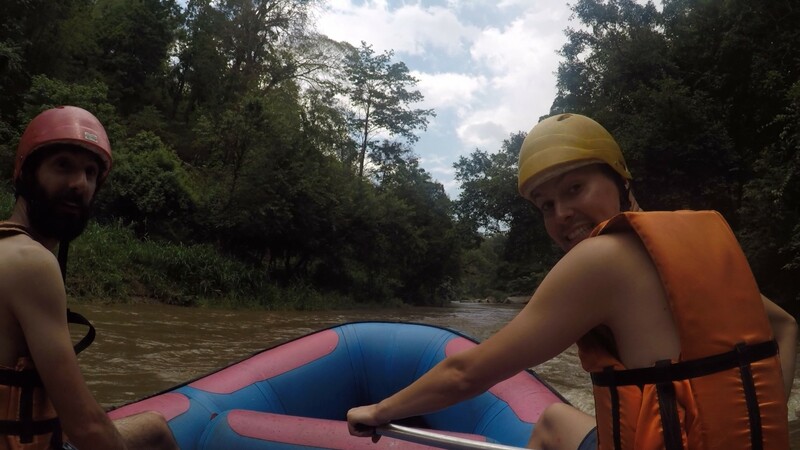 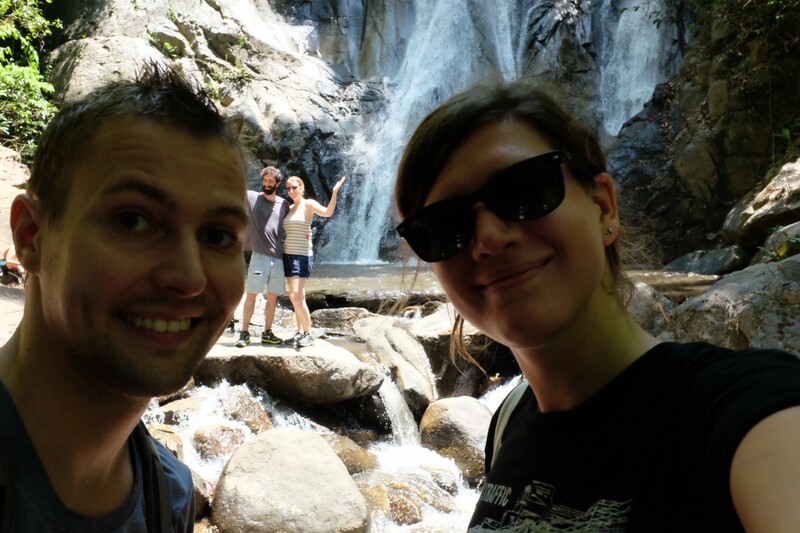 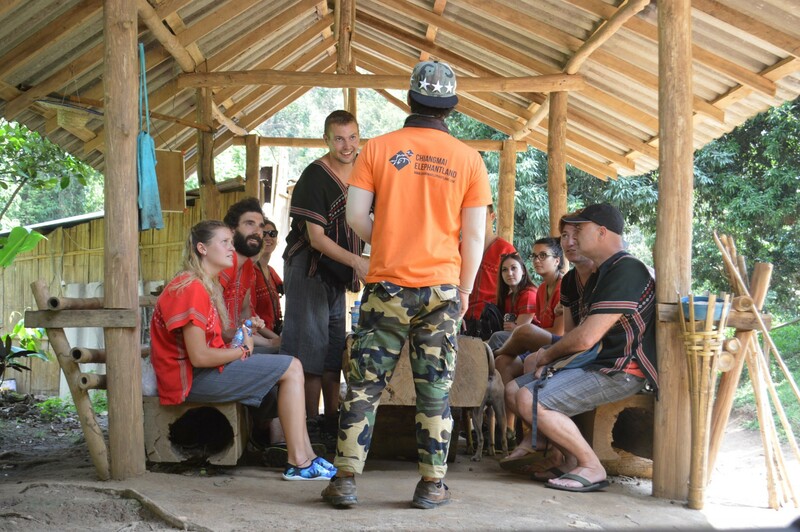 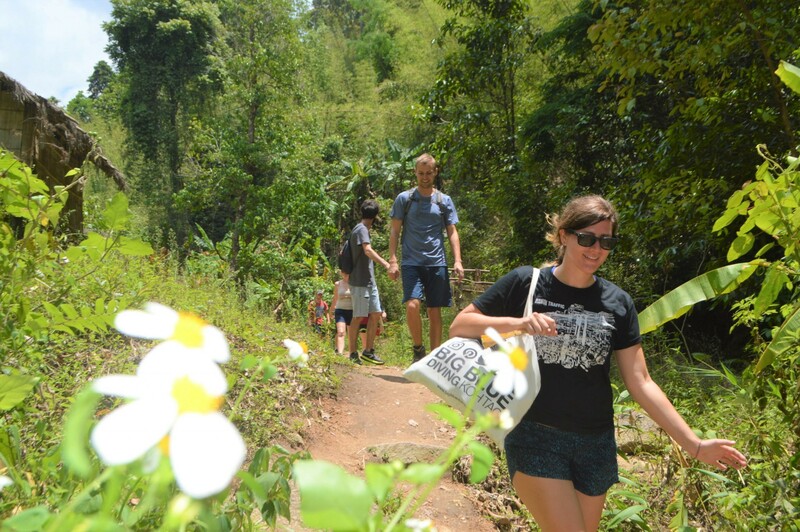 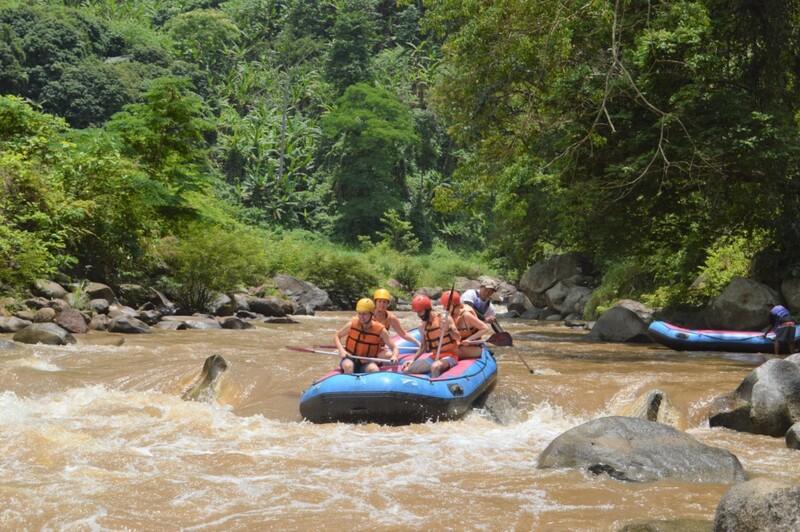 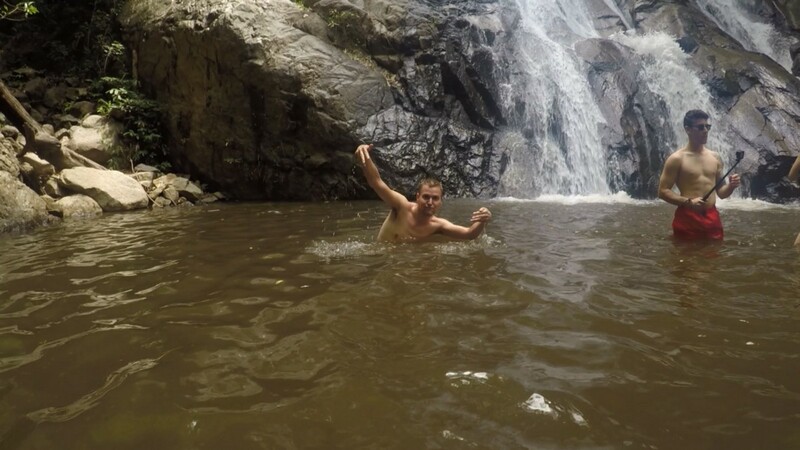 After 10 days of hanging out, we decided to do a tour around the Chiang Mai area. 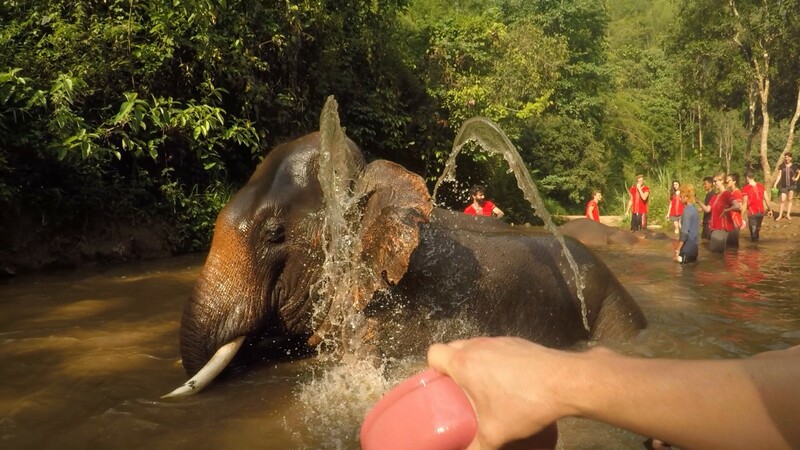 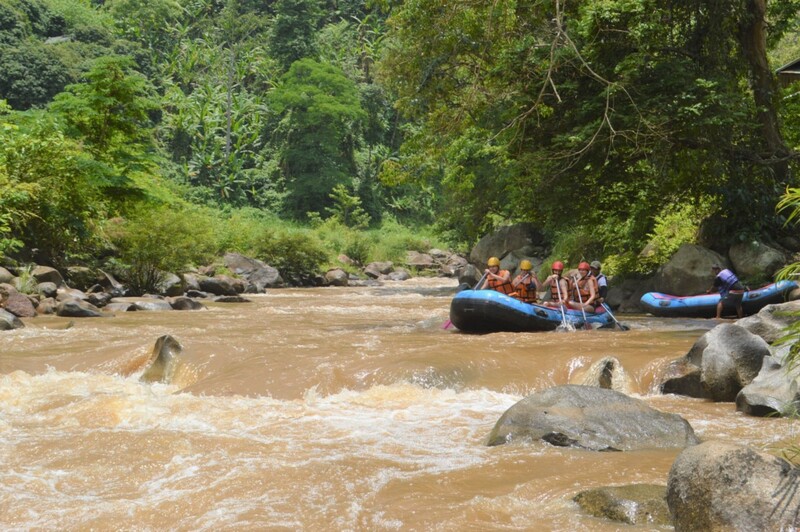 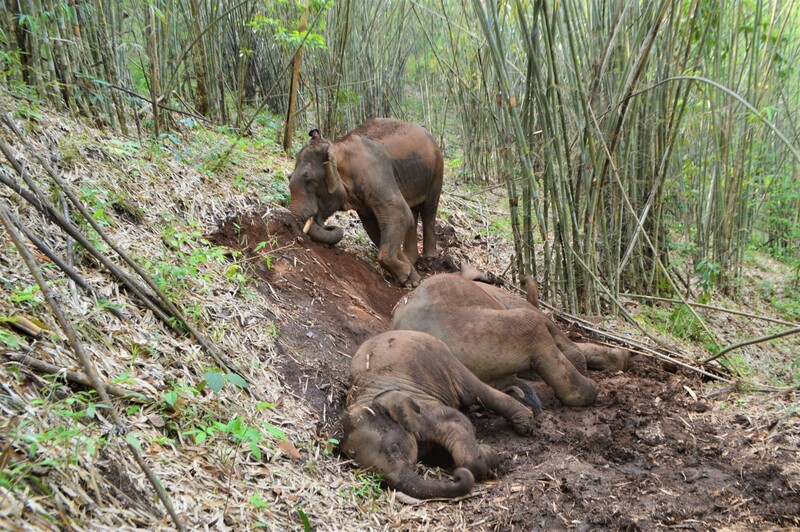 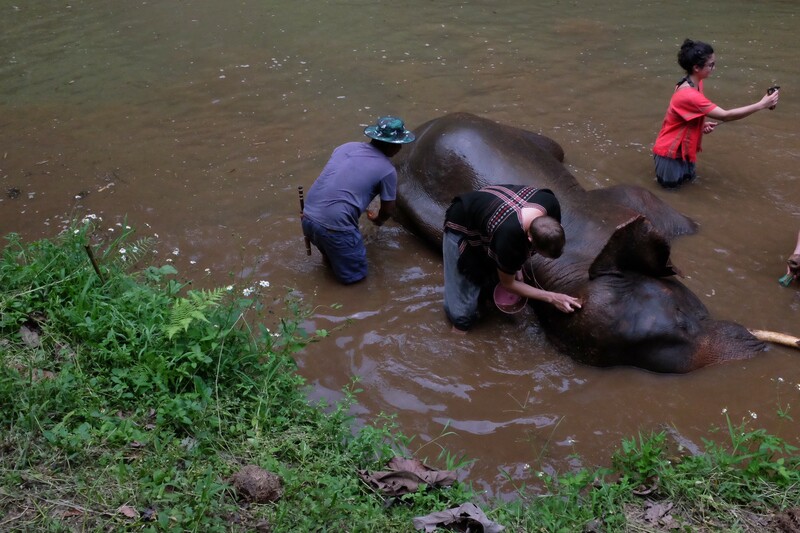 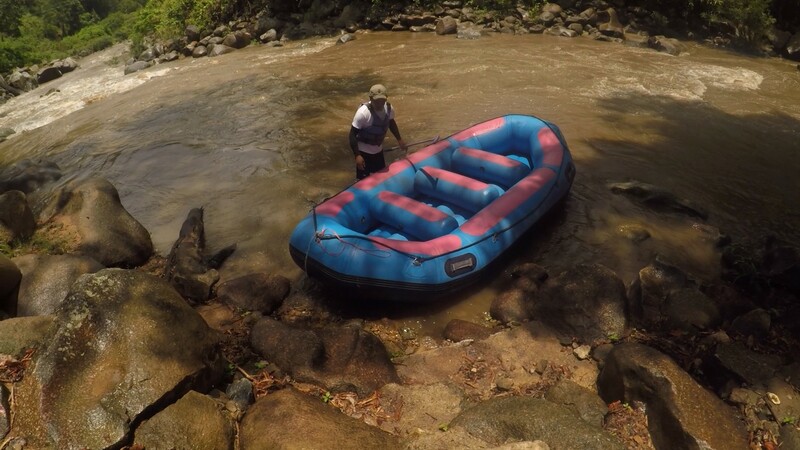 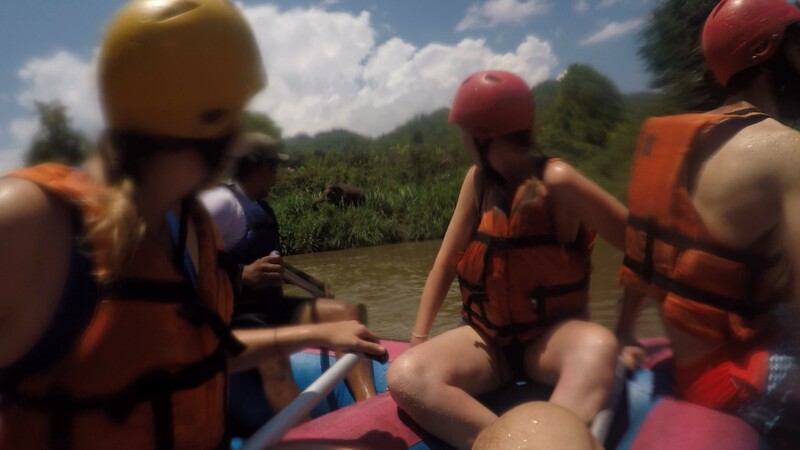 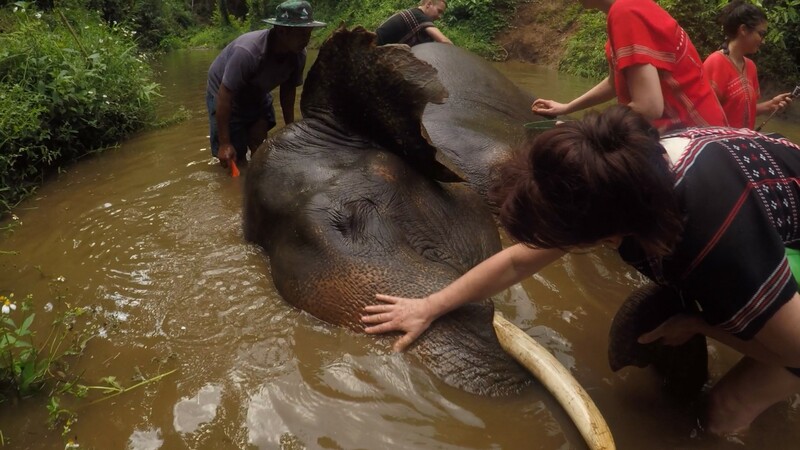 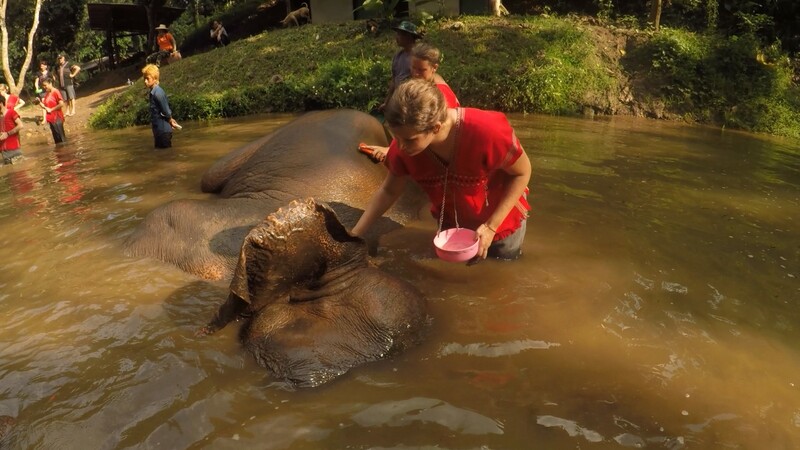 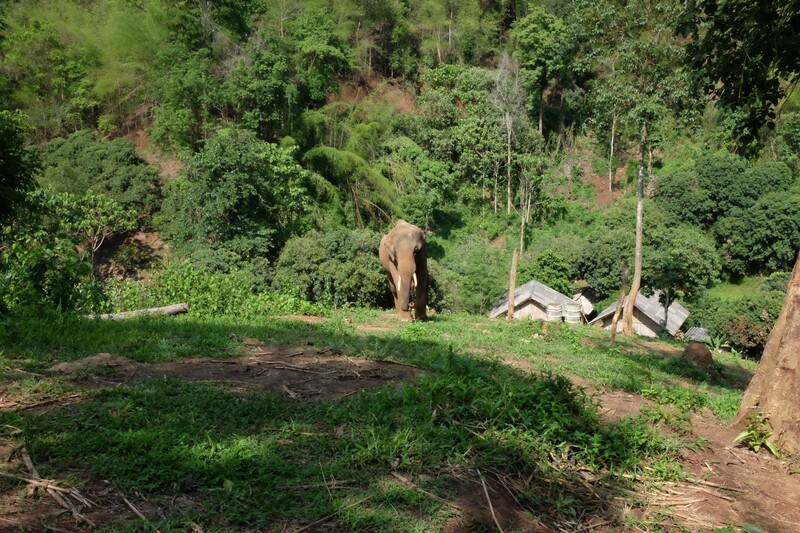 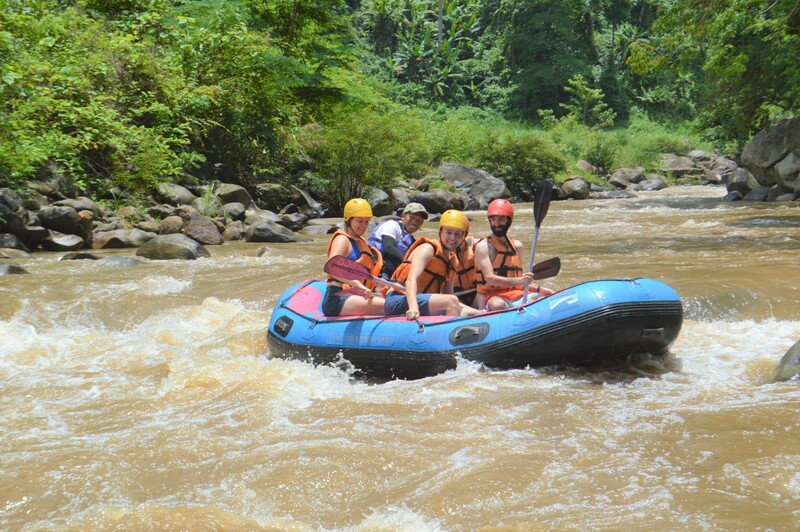 We did a full day trip and did some water rafting, hiking and cleaned/walked/feed some elephants at a sanctuary. 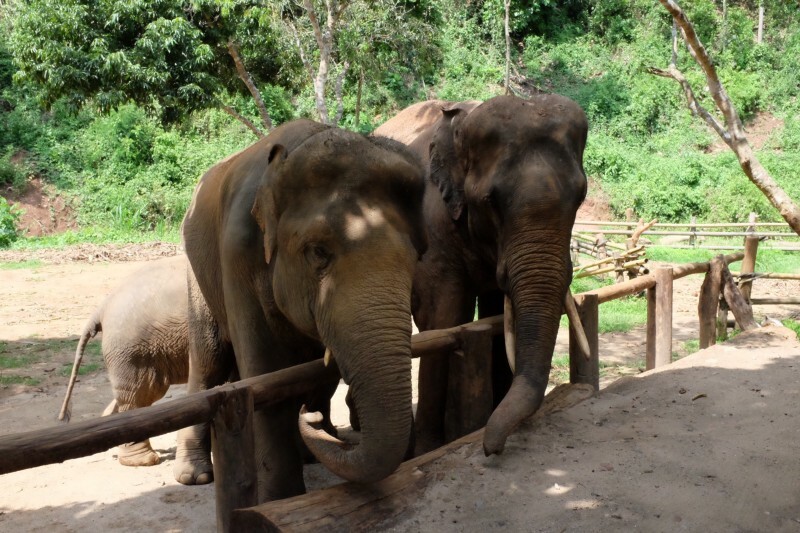 Now we did a lot of research to find a place that didn’t let you ride the elephants (it hurts them!) 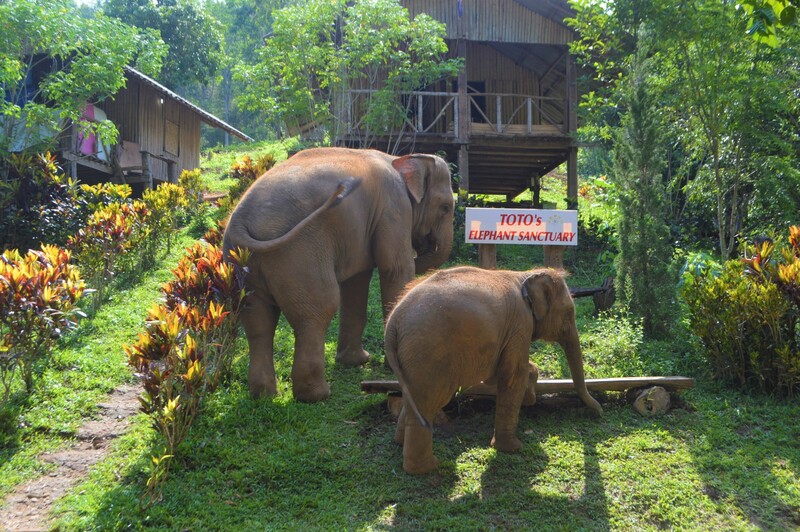 and a place we could help out and take care of them... 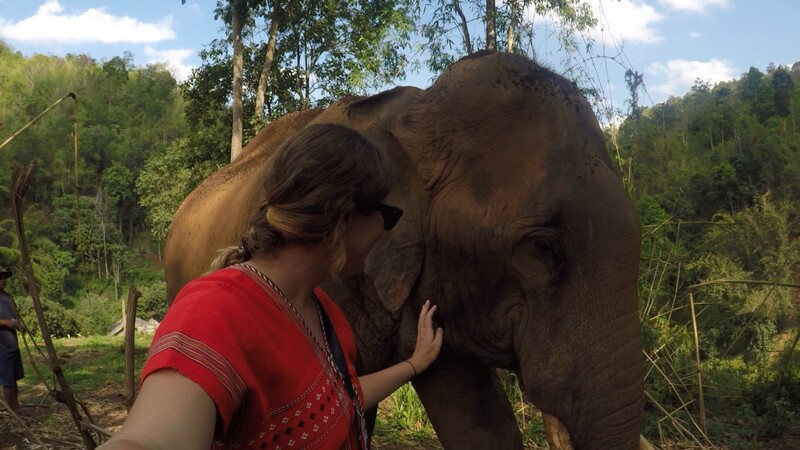 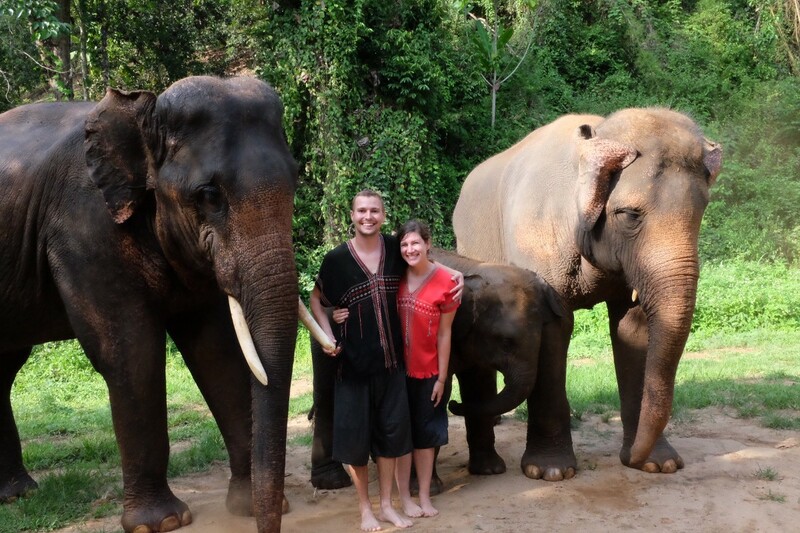 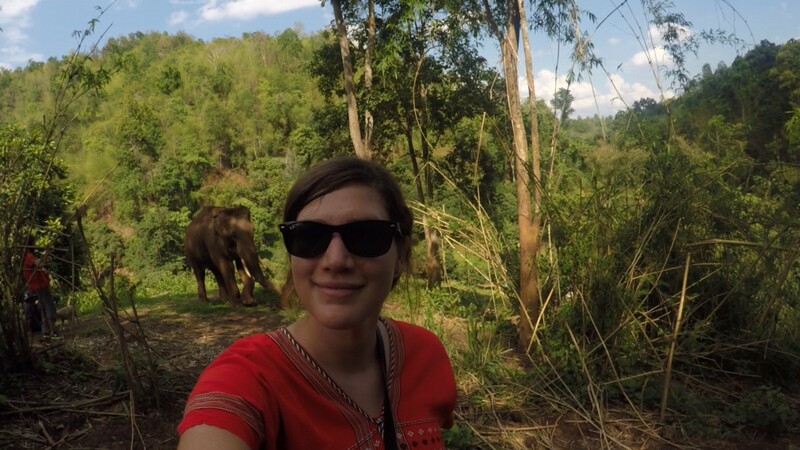 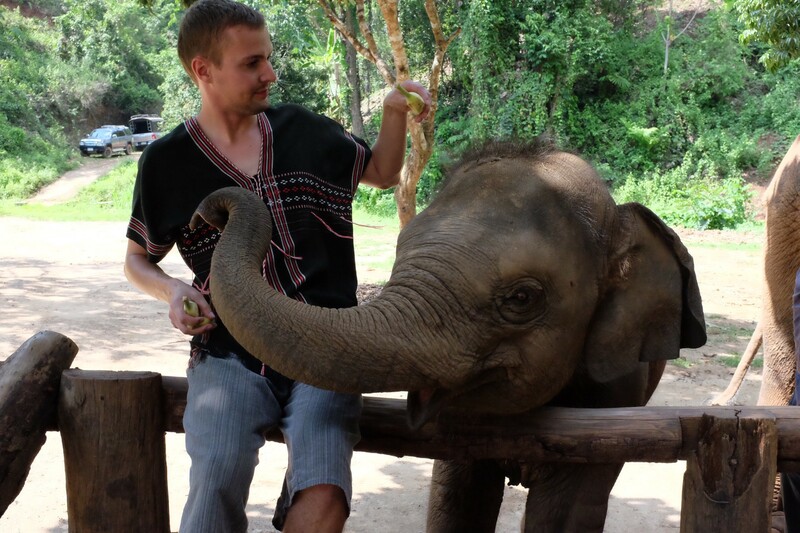 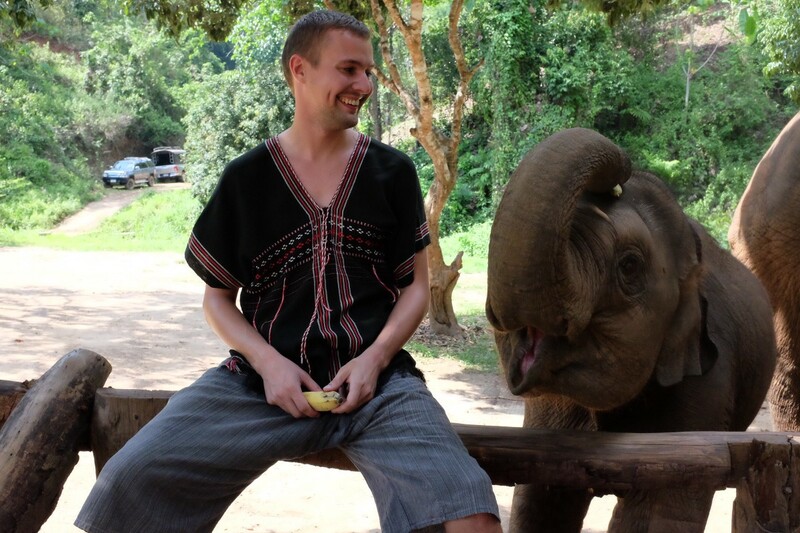 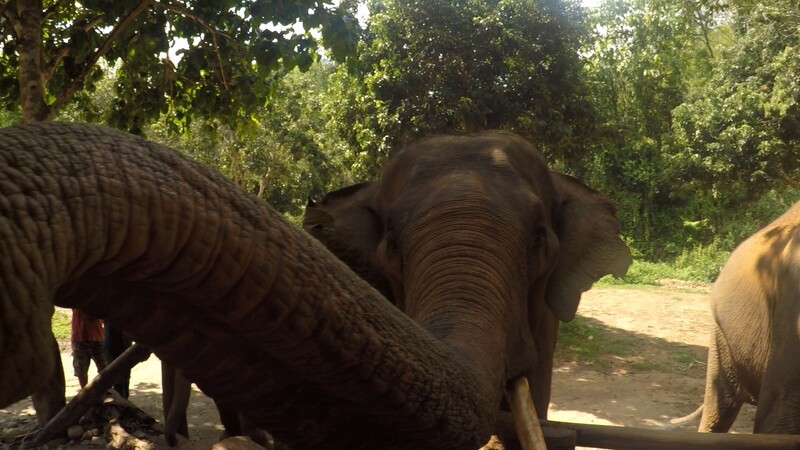 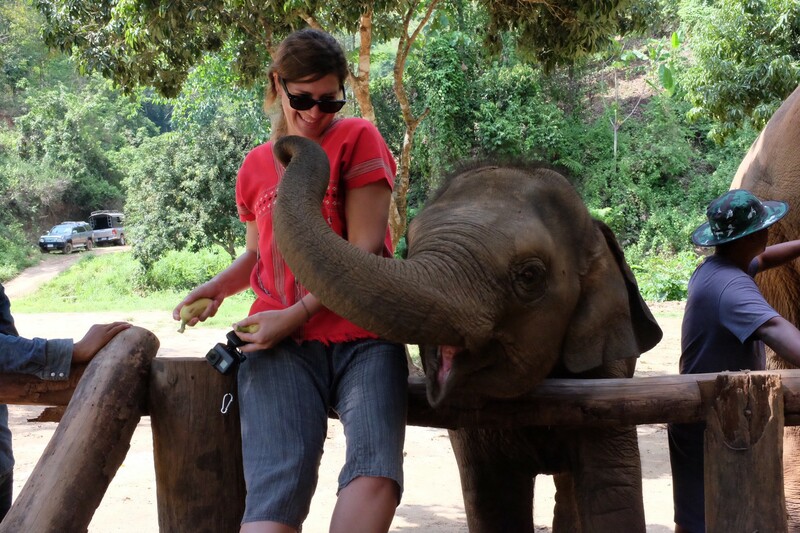 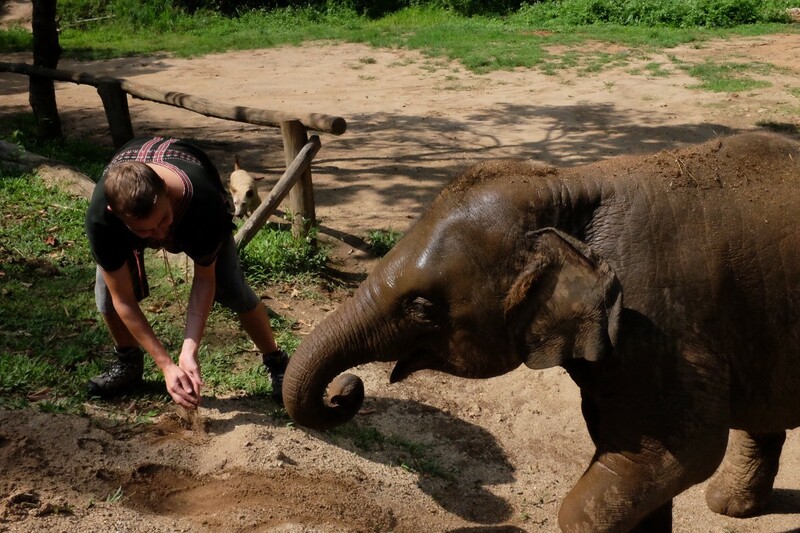 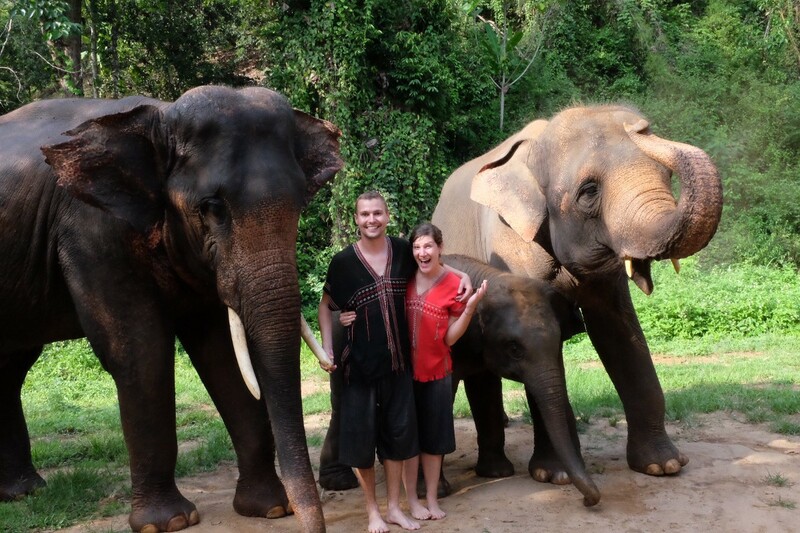 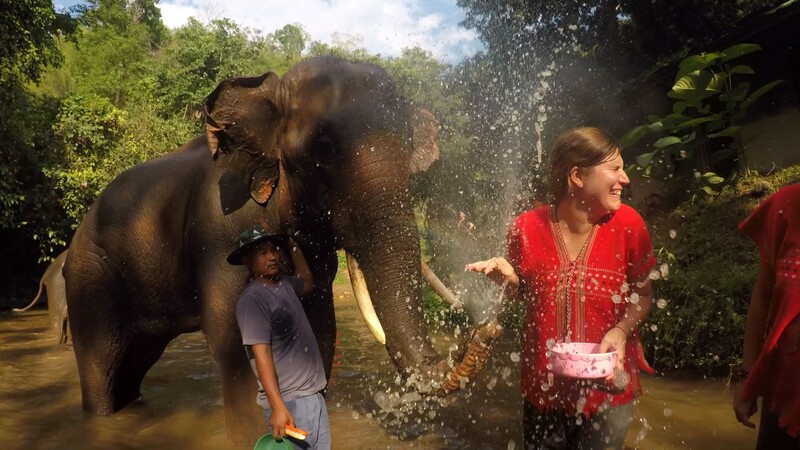 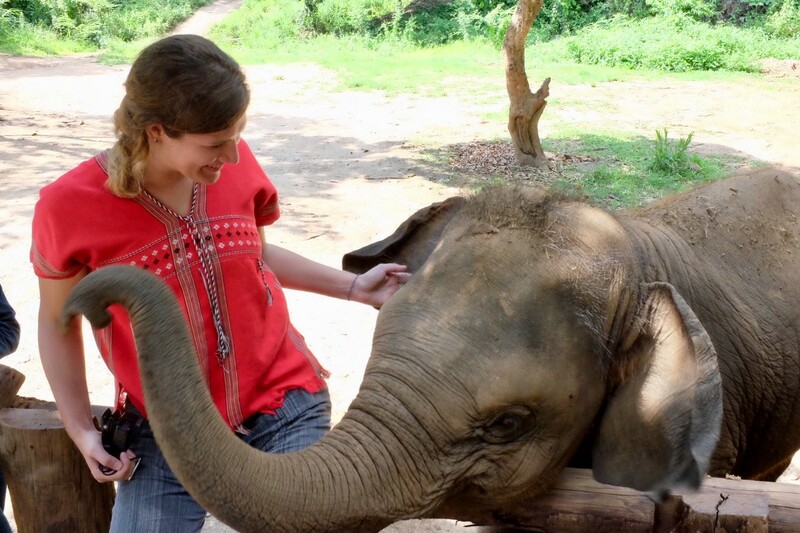 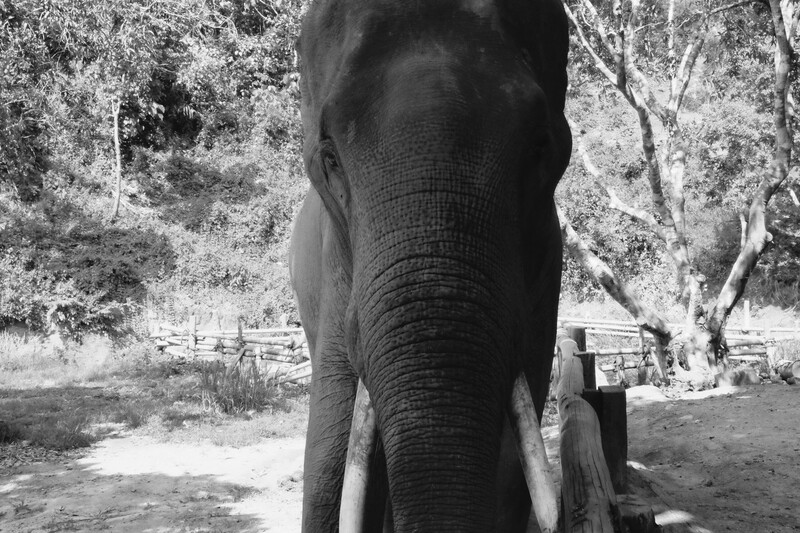 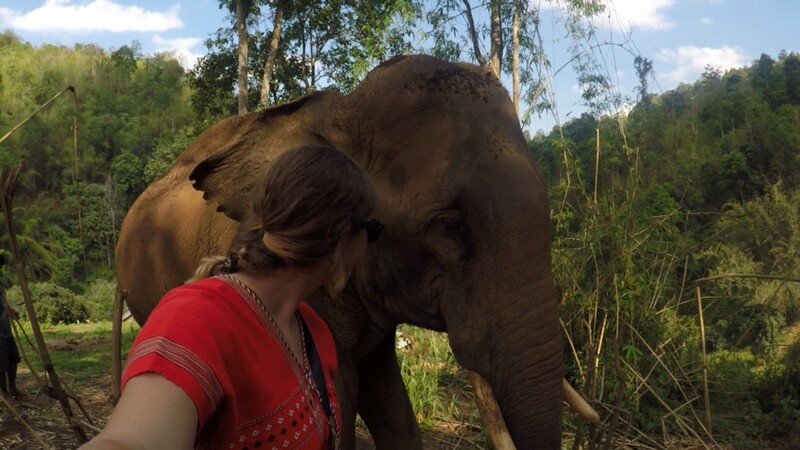 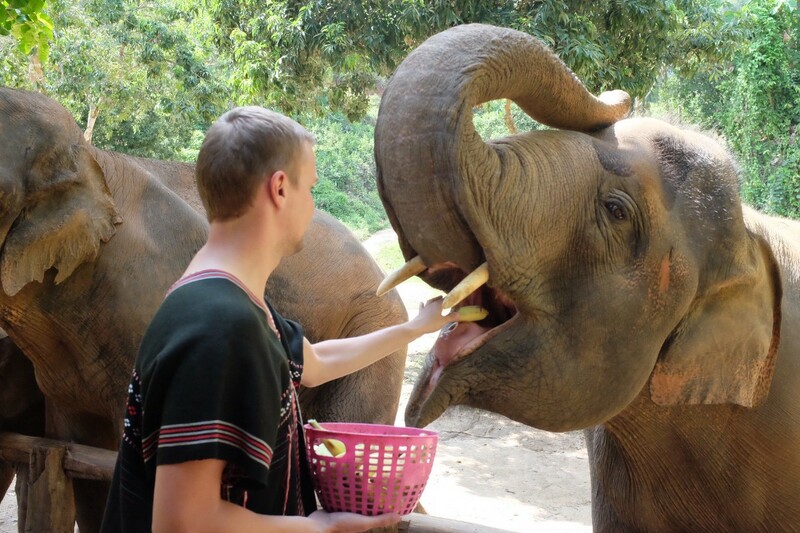 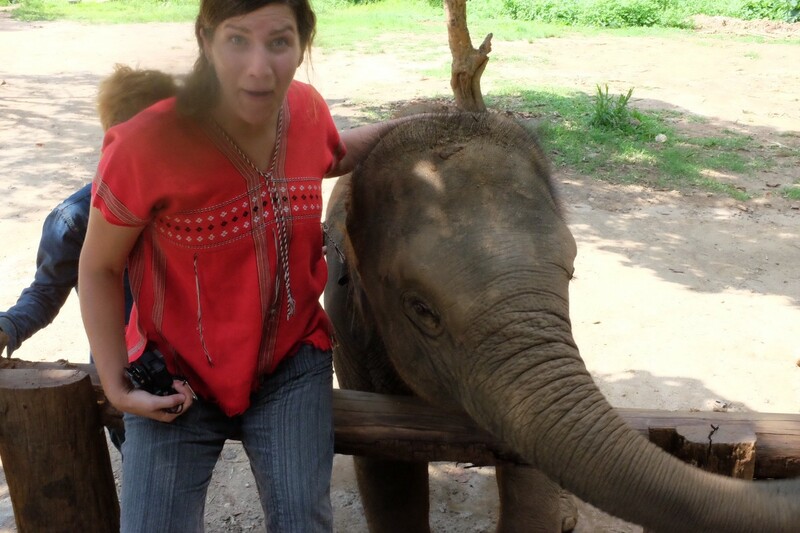 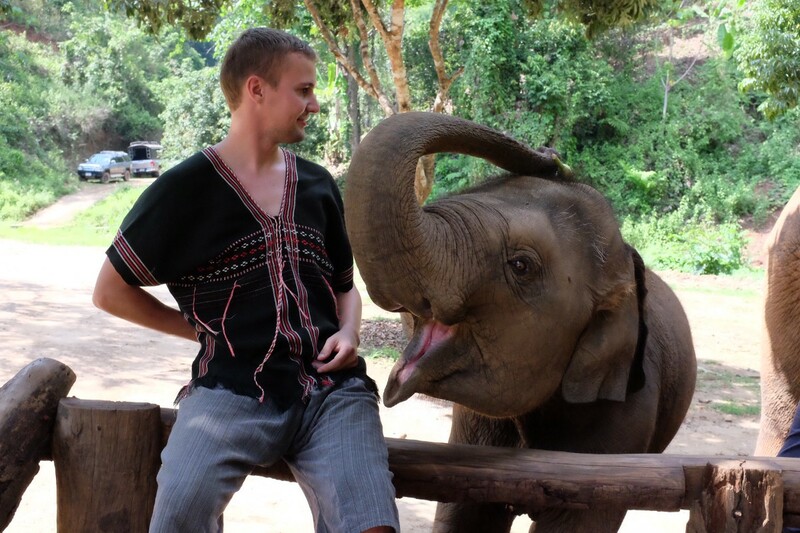 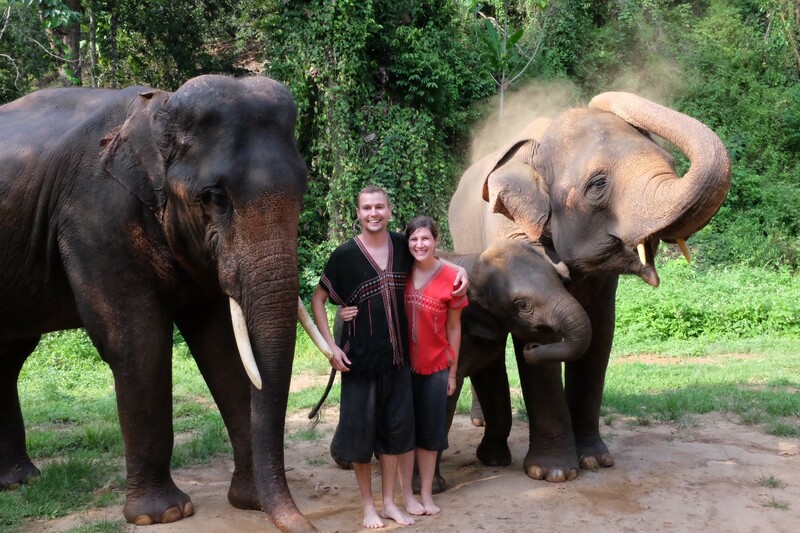 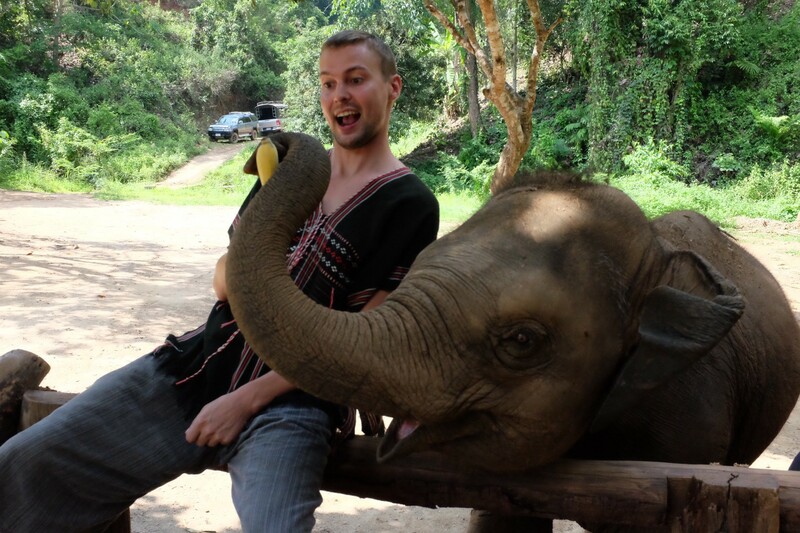 So when it finally came time to meet the elephants… both of us were a little starstruck. 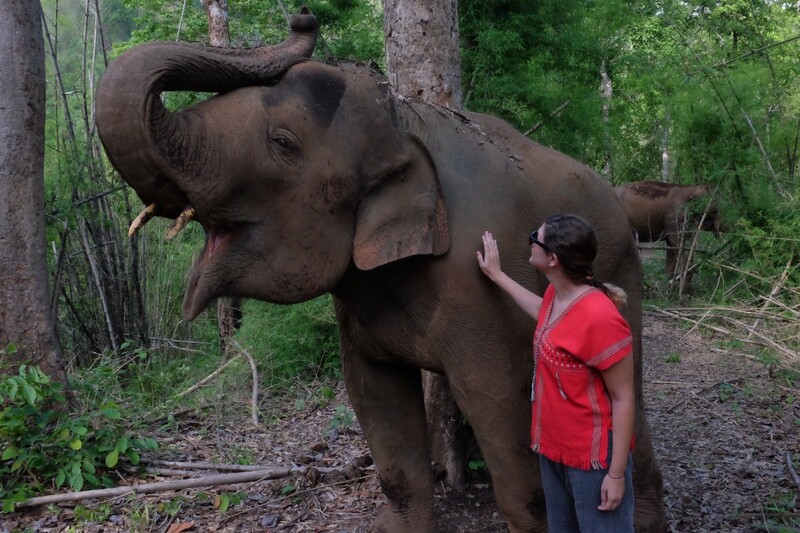 These gentle giants are pure magic. 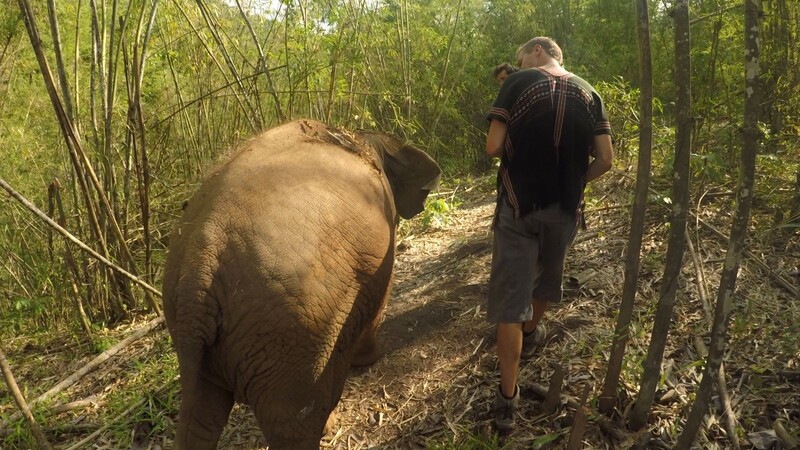 At first we got there and to be so close was a bit intimidating… they could crush us with one wrong step. 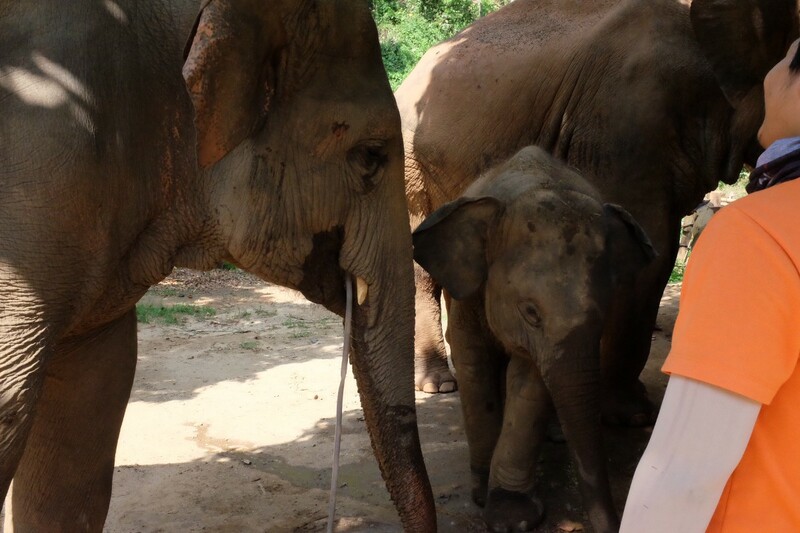 But after an hour or so of feeding we got to take them for a walk around the property. 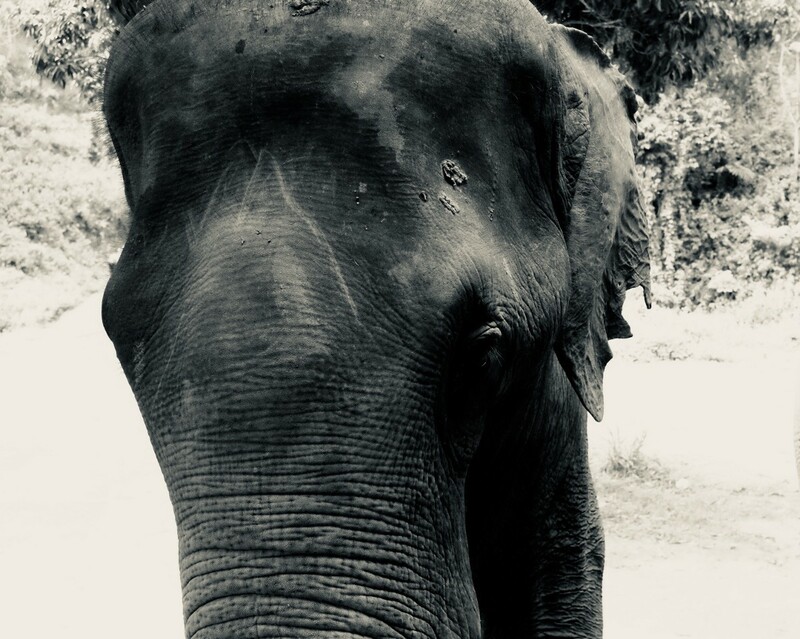 They walk right up to you, but are very aware of where you are. 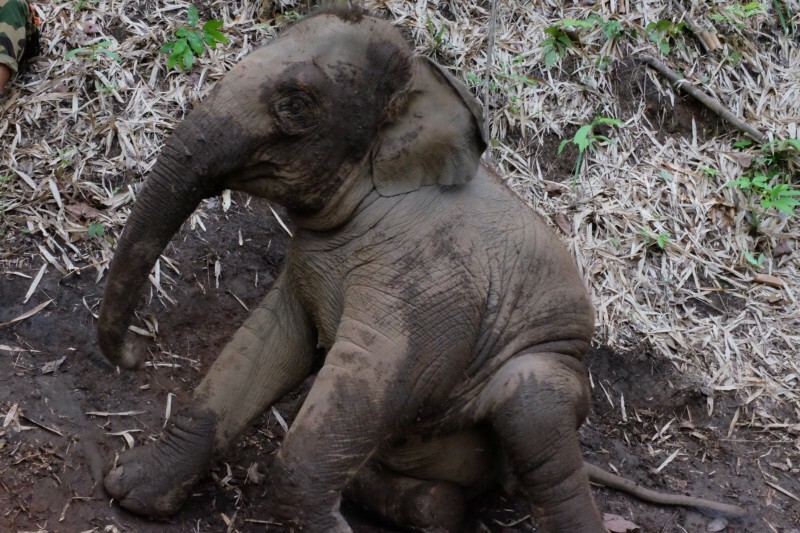 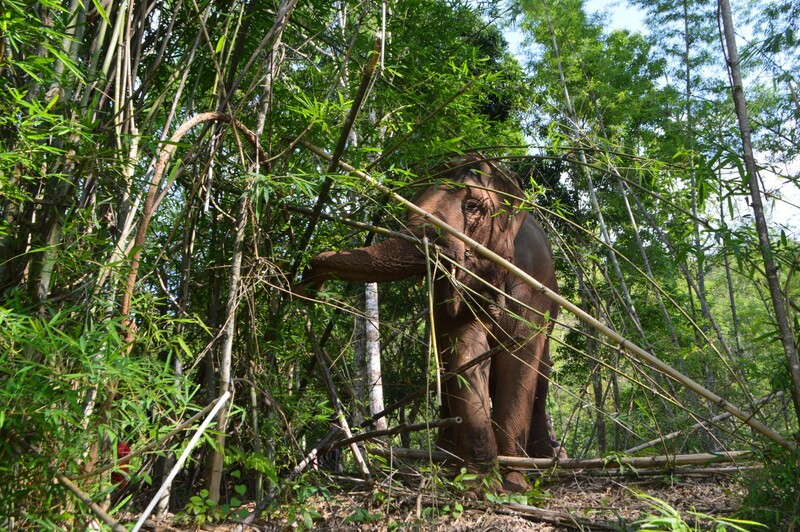 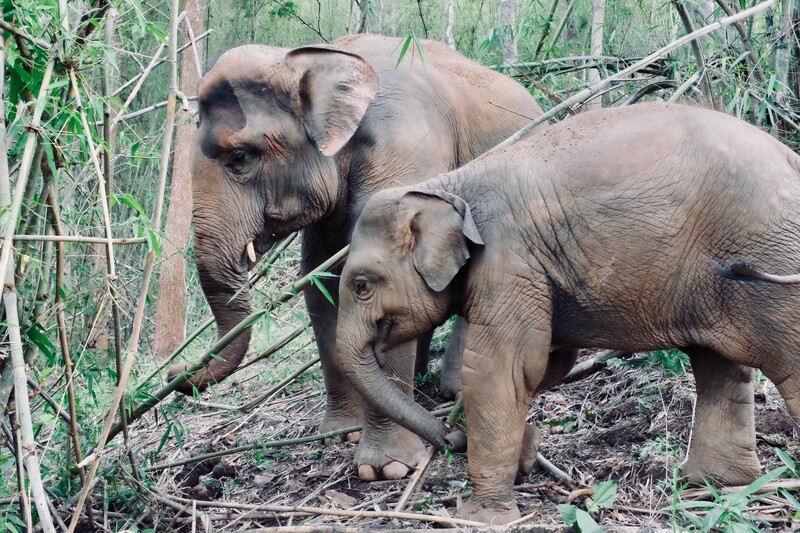 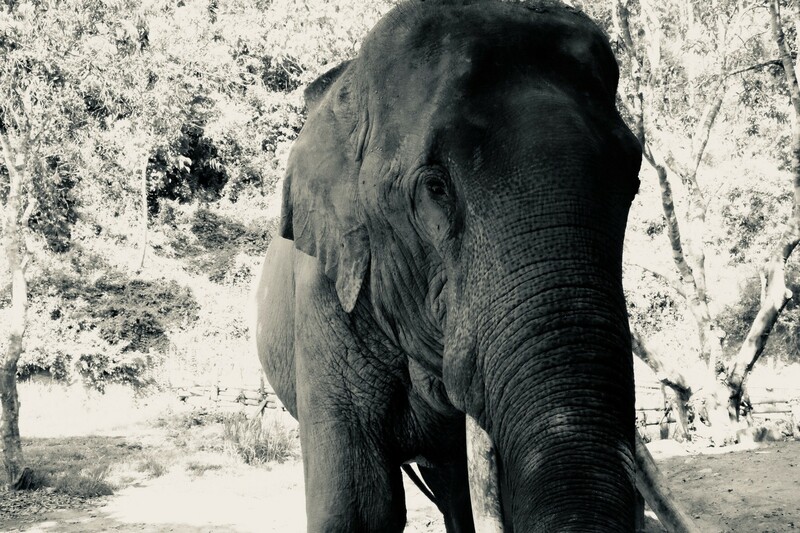 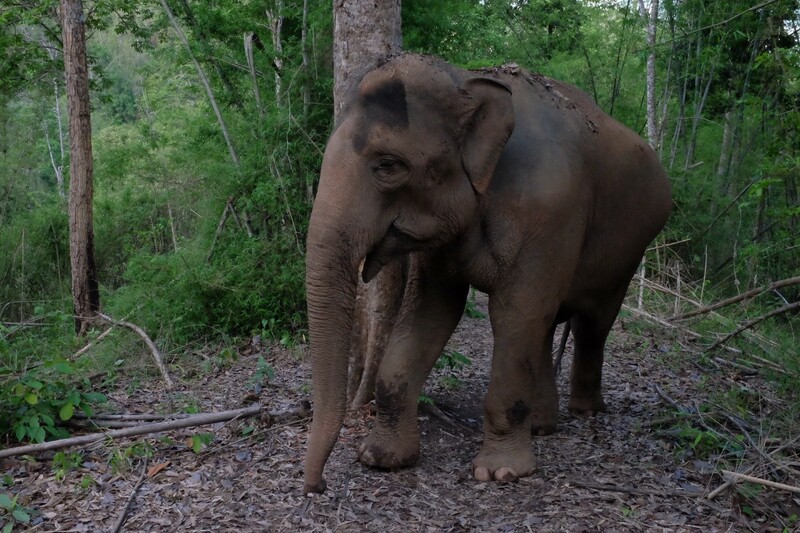 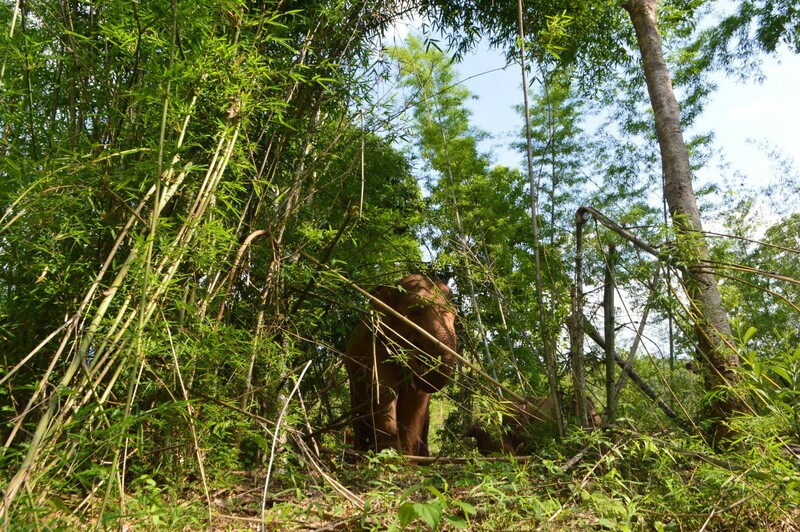 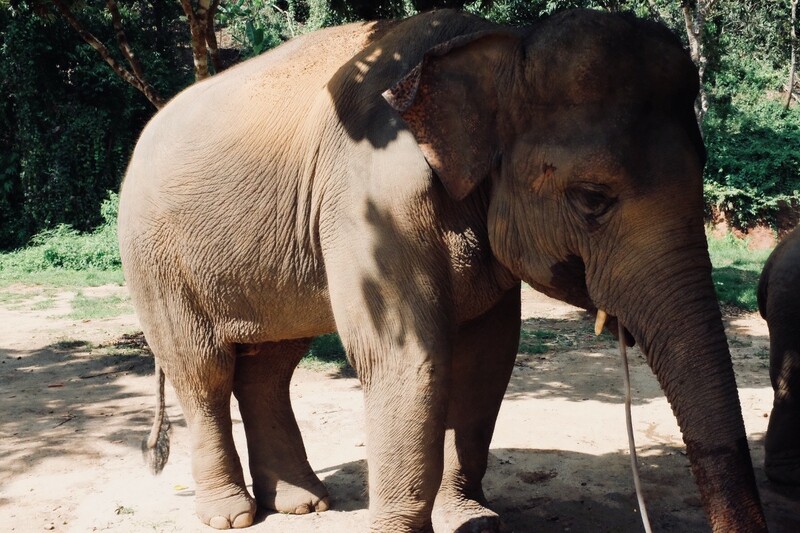 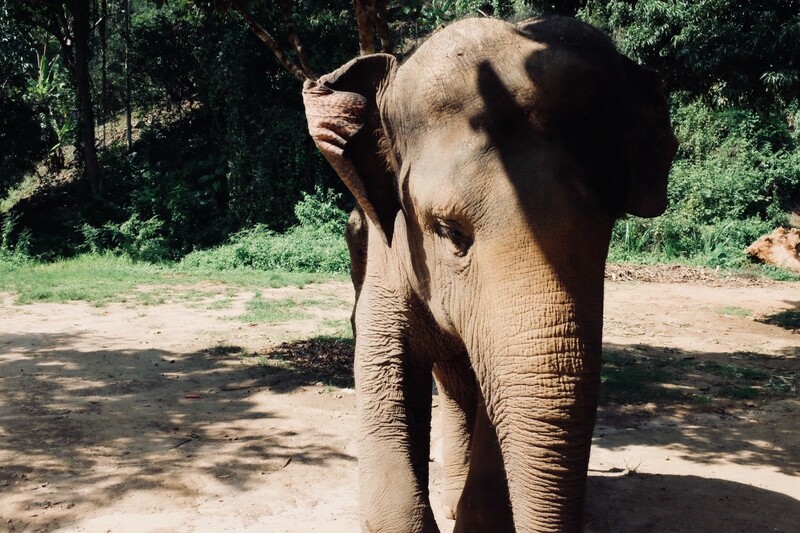 They are also on a mission to eat everything, so as Maeghan was standing there… Jumbo the middle sized elephant just reached right above her head and pulled down some yummy leaves while looking right at her — almost like he was showing her what he was doing. 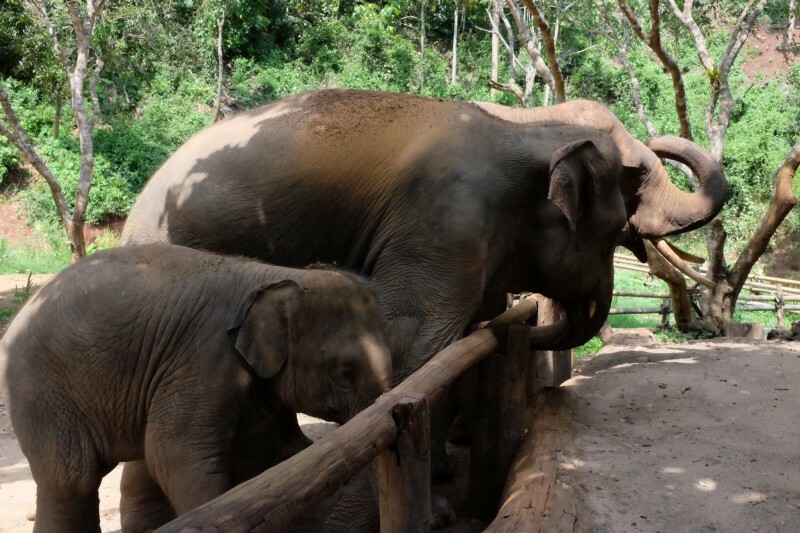 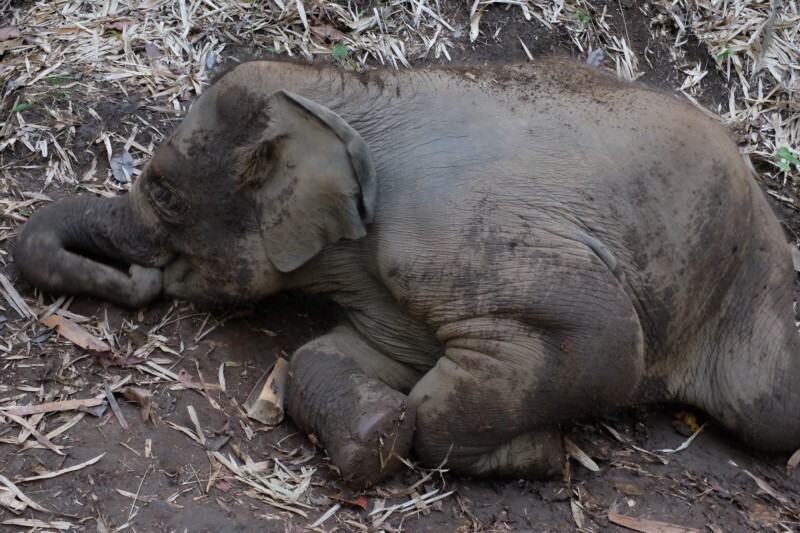 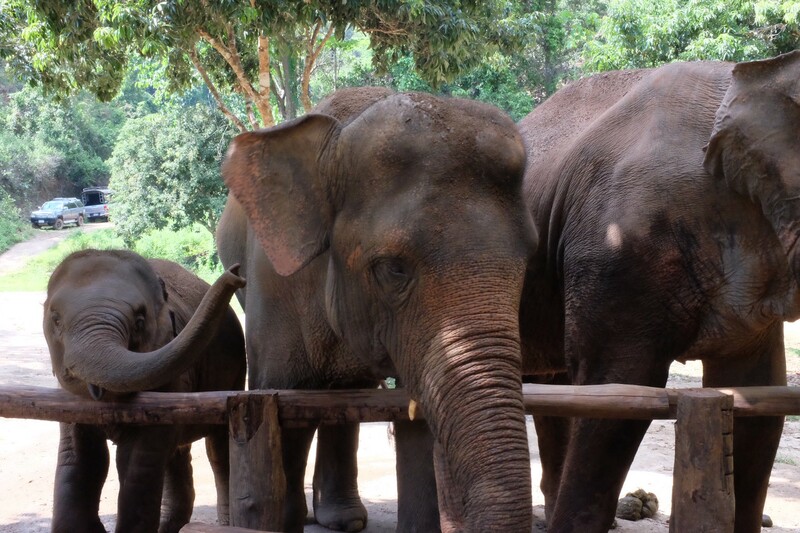 Montombo, Jumbo & baby Pancake were the three elephants we got to meet. 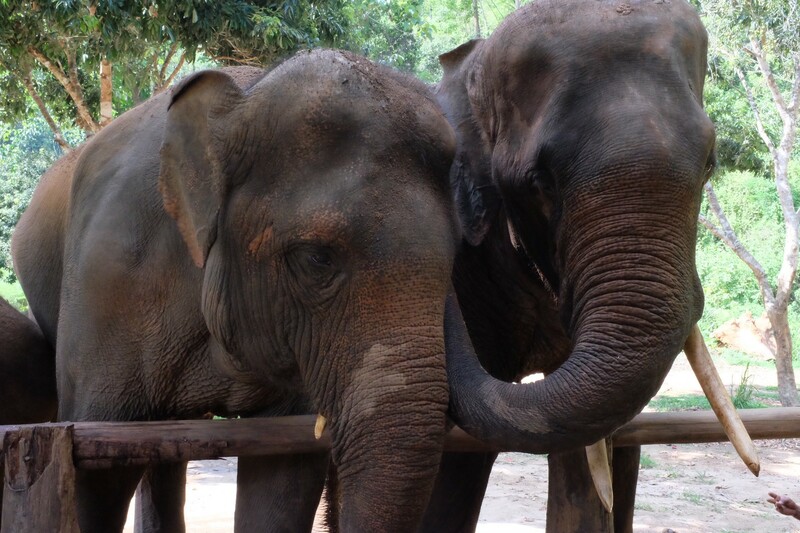 Pancake and Oli seemed to bond and Maeghan and Jumbo were best buds by the end of it. 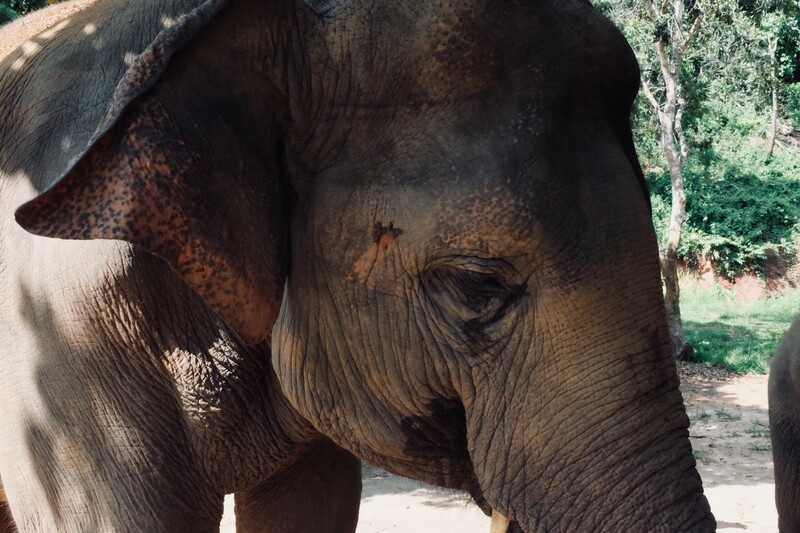 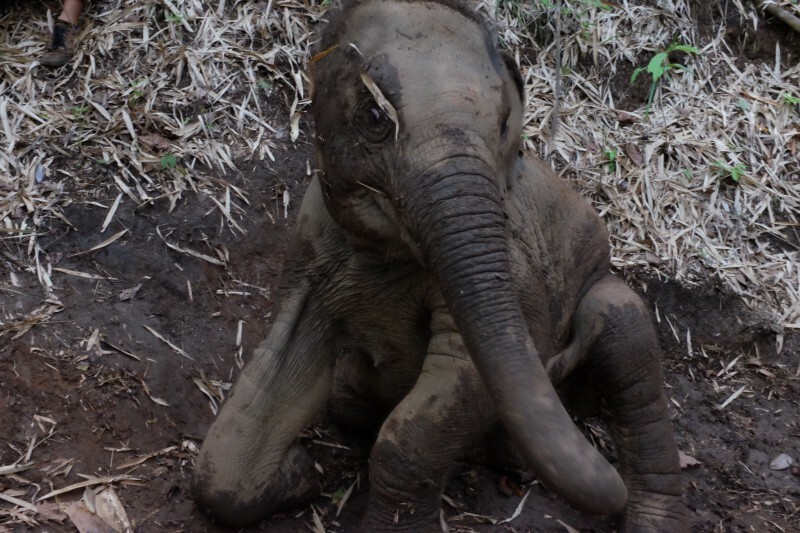 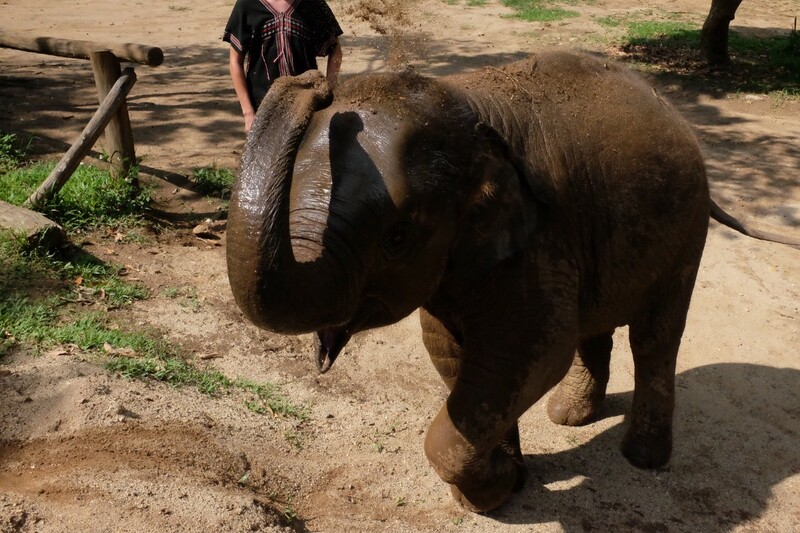 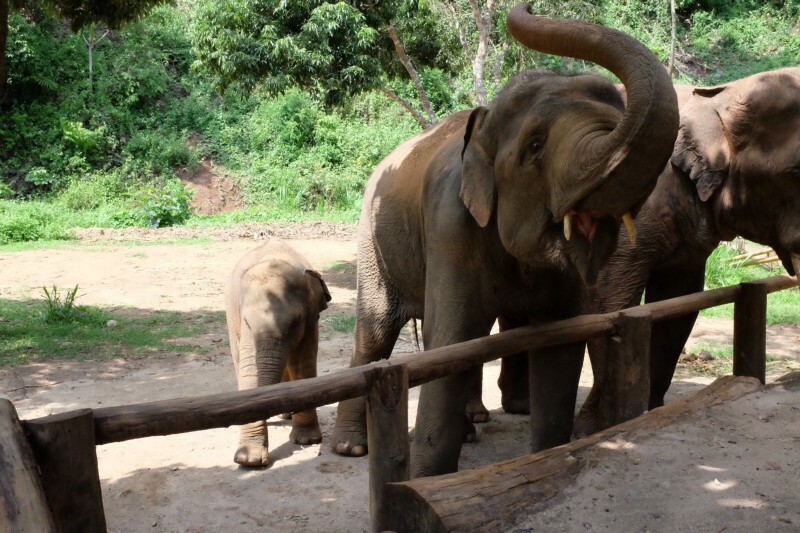 So here is like a hundred pictures of our day with the elephants… they were just so cute and wonderful we couldn’t stop taking pictures….